The girls’ soccer team won the Cork Finals in Turners Cross before the Easter holidays. 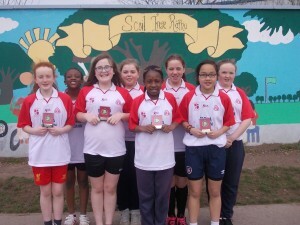 They have now qualified for FAI Munster Finals. These will take place in Waterford on April 20th. We wish them the best of luck!